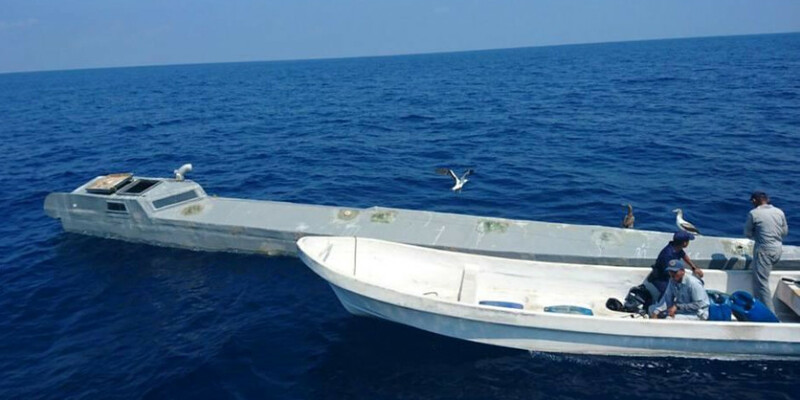 On Saturday 22nd April 2017 anti-narcotics agents from the Guatemalan National Civil Police seized an abandoned narco-sub in the Pacific. A second example was intercepted by USCGC Waesche (WMSL-751) on 8th June. One is interesting, two is a trend. 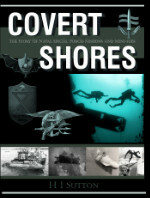 The first example was found abandoned 23 nautical miles offshore between Sipacate and the Nahualate River. It had probably completed its mission from Colombia and had been left to sink, but hadn't. 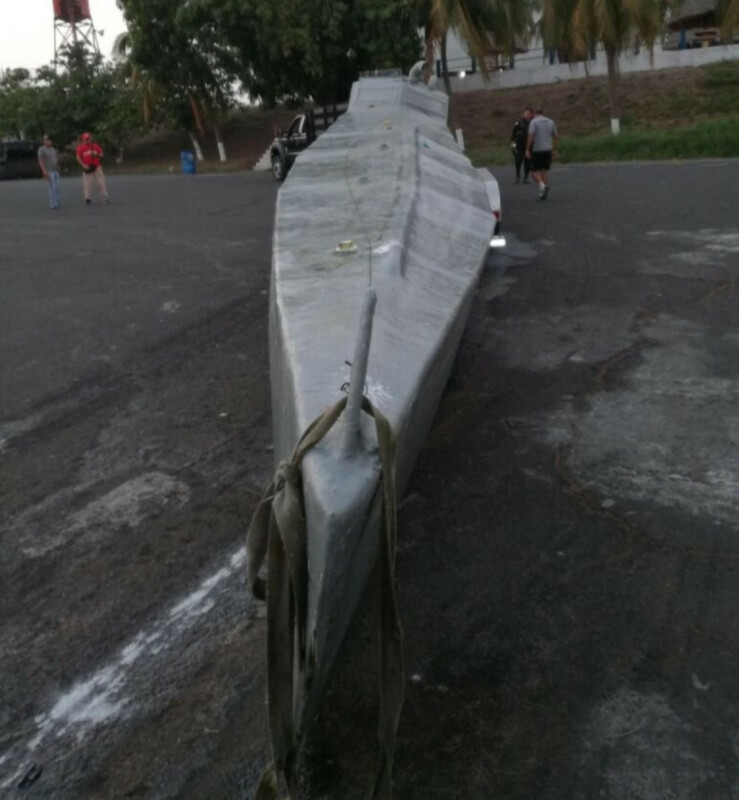 Although the boat has many similarities to two previous narco-subs captured in 2016, it has a very significant difference that sets it apart from all other narco-subs previously intercepted or captured; it is a VSV. It is a new type and may represent a new phase in development. Very Slender Vessels (VSVs) punch through waves instead of going over top of them which allows them to travel faster in heavy seas and also reduces g-forces on the crew. 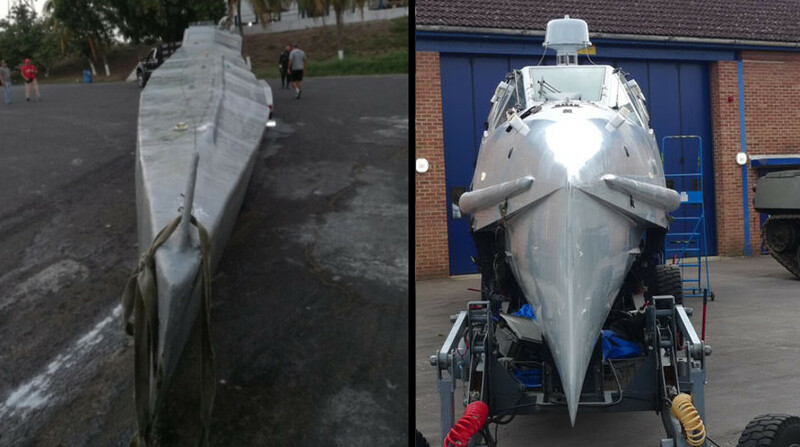 Interestingly the crew had removed the outboard engines and navigation equipment before abandoning the craft suggesting that they will be reused in a future mission, or sold locally for extra funds. This is one advantage of outboard motors although they do have drawbacks too. At first glance the latest craft bears a strong family resemblance to a recent narco-sub fund in the Pacific about a year ago (Read more). This was the first narco-sub captured which have been associated with the El Clan del Golfo (formally the Úsuga Clan, aka Los Urabeños), a neo-paramilitary group involved in drugs trafficking and the Colombian armed conflict. They are distinguished from other narco-subs by their rear cockpit and outboard motors – almost all other narco-subs have a cockpit amidships and inboard motors. These were reported as 12m long and 2.5m across. No less importantly, the new craft is painted light gray like the El Clan del Golf example which again is different from most other narc-subs which are blue or green to better blend in to the sea from the air. 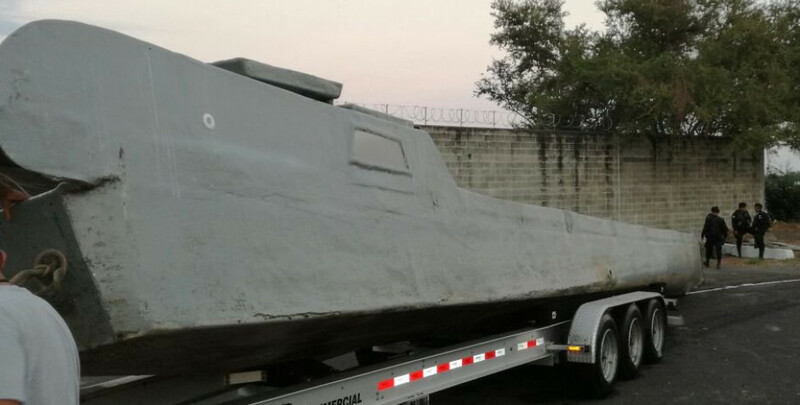 The previous El Clan del Golf boat had semi-planing hulls rather than typical displacement hull found on narco-subs and actually looked like a hybrid of a typical LPV and the more basic go-fast boat concept (simply an ocean-going speedboat for carrying drugs - less covert and less survivable in heavy seas). At the time I suggested that the their break-away from 'conventional' narco-sub design pointed to relative inexperience. This new VSV type implies a maturing of El Clan del Golf narco-sub design and shows them going in a different direction to the mainstream cartels. The new design is likely faster (my est. 20 knots) and stealthier than most other narco-subs but will sacrifice payload slightly due to its confined dimensions. Reports suggest that its estimated payload was 5 tons although this might be an over-estimate. It is not clear where the boat landed its cargo – most commonly it would be in Mexico. Guatemala’s Pacific Ocean has no predominant current system and can change from east to west (e.g. up from El Salvador) to west to east (down from Mexico) within a week. This makes it difficult to guess where the boat was abandoned although local authorities may be able to determine that. 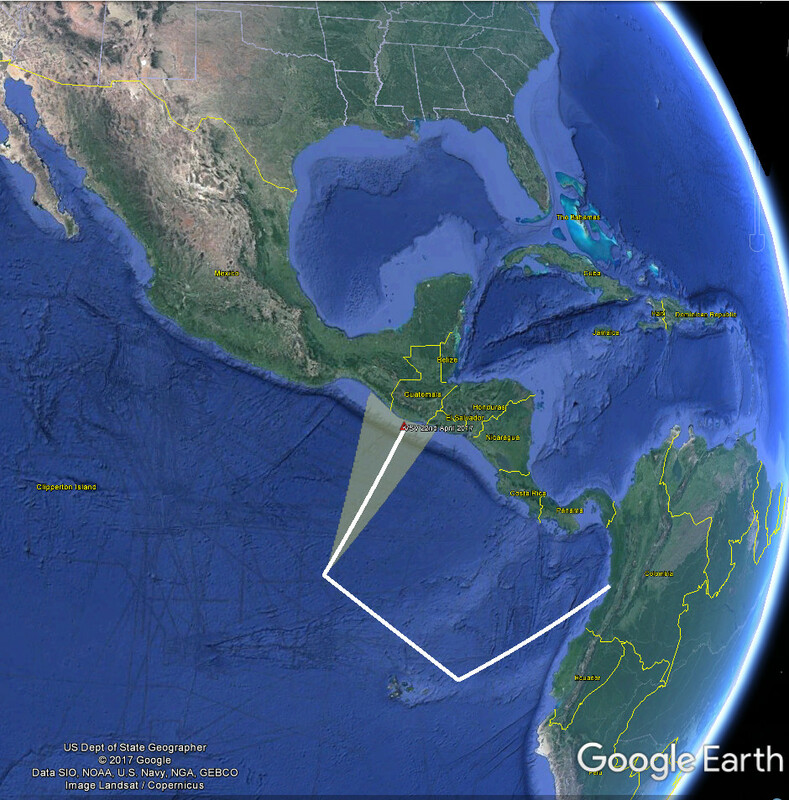 The likely route this narco-sub took before it was abandoned is around 2,000 nautical miles. At 20 knots (about twice as fast as typical narco-subs) that would take 100 hours (just over 4 days). Colombian Drug Cartels originally experimented with building ocean-going semi-submersibles to smuggle their products north to Latin America in the 1990s with it being the standard means since about 2006. Law Enforcement agencies this type of narco-sub as a Self-Propelled Semi-Submersibles (SPSS) although Low Profile Vessel (LPV) is a better term for the vast majority, including this latest type. LPV is used on this website to distinguish types which, unlike a true semi-submersible, rely on a full cargo to ballast the boat down to a semi-submerged state where only the deck and small cabin in above water. This is termed ‘running awash’. LPVs are much simpler than true semi-submersibles because they do not require hydroplanes (small underwater wings) to make small adjustments to depth and do not require plumbing and pumps to regulate the amount of water aboard as ballast. Military VSVs are not normally low-profile boats (i.e. constantly awash) but it is not unique for a semi-submersibles to have wave-piercing bows and high length-beam rations like this (although information on such craft is limited!). And it compares to ratios of 3.5 to 5.5 for typical LPVs; I have a log of 55 reported narco-sub intercepts/captures since 2006 and have recorded the dimensions where reported, and photos in almost every case. There is only one previous example which is reported to have a similar ratio, and that was likely a reporting error. 6 to 10 - The lightest and slimmest of large sailing monohulls. 10 to 16 - Fast cruising multi-hulls and a few racing multihulls. On 8th June 2017 the USCG intercepted a second narco-VSV in the Eastern Pacific. Few details have been released by infrared imagery of the intercept was unloaded to dvidshub on 4th June. 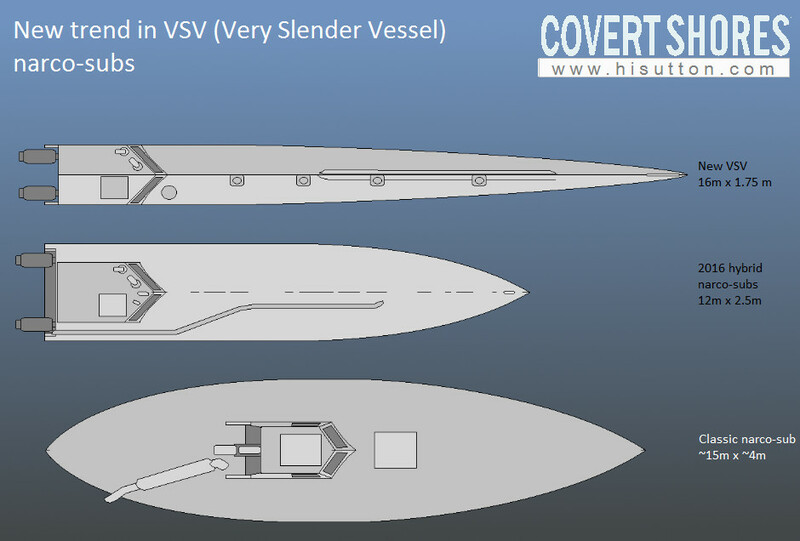 The imagery shows a similar layout to the first VSV, and also confirms the outboard motors. The crew and cargo were seized.